TORONTO, Ont. — In Ontario, the new year will bring new permits for a newly approved trailer configuration. 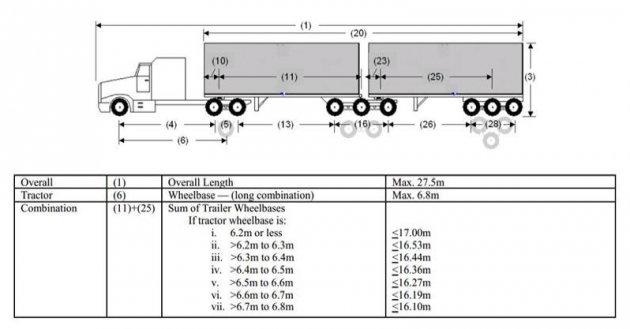 According to the Ontario Trucking Association, the Ontario Ministry of Transport is set to begin granting individual and fleet permits for the use of extended tractor b-train double trailer configurations. Prices for the permits are expected to be $400 for individual vehicles and $1,000 for fleets. The OTA said the permits will be in place until MTO can make the necessary changes to its regulations, which are expected within the next year. Additional details, including the application forms, will eventually be posted to the MTO’s website.